Next April the Graduate Association of Latin American Studies (GALAS) at NYU will open an exhibition entitled Stories of El Salvador: The Civil War and Its Aftermath. Raúl Guzmán and Camilla Querin, two students of the joint degree Master’s program in Latin American and Caribbean Studies and Museum Studies will be curating the exhibition that will be exhibited at the Stovall Gallery in the Kimmel Center. The exhibition is the result of collaboration between GALAS, CLACS, NACLA, Museum Studies, the Mujeres de la Guerra project and the Stovall Gallery. 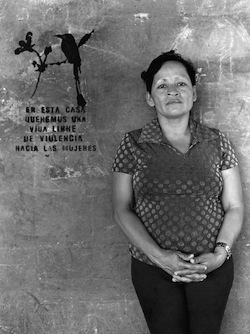 The photo exhibition will focus on the Civil War in El Salvador and the role of women during and after the conflict. The exhibition will present a historical view of the Salvadoran Civil War through portrait photos, videos and oral histories of women involved in the conflict. The intention is to educate people about the Salvadoran Civil War, about the power of women, their resilience and their organizational abilities. 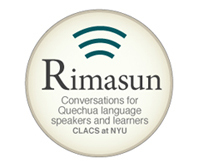 The aim is to tell their inspiring stories and share their hope, wisdom and dedication with the world, to make people reflect upon different forms of activism and to reach not only an NYU audience, but also the Salvadoran community in NYC, people interested in activism, feminism, community organization, photography and resilience after armed conflicts. 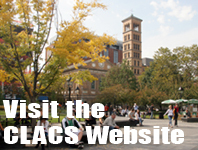 This entry was posted in Recent Research and tagged CLACS, El Salvador, human rights, memory, museums, photography. Bookmark the permalink.